Partner with SellerApp for a powerful income stream. Click to Get Started. High-quality promotional assets like banners, sidebars, social media graphics and videos. So you everything to refer your visitors & drive sales! Log in any time of the day to check your sales, traffic, account balance and see how your banners are performing. Also get notified the very instant you successfully refer a sale! 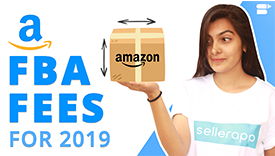 Did you know you can make money showing Amazon Sellers SellerApp’s products to boost sales? 20% of the monthly billing with every referral sign-up as commission every month. Drive traffic from your website / emails/ mobile apps to SellerApp and earn commission for their purchases. Set up your free affiliate membership and start referring businesses and earning commissions! How does SellerApp Affiliate Program work? When you join our affiliate program, you will be given an affiliate link that you can use in your website or in your emails. When a user clicks on one of your links, they will be brought to our website and their activity will be tracked by our affiliate software. If they sign up (either on that visit, or on a subsequent one), you'll receive a 20% commission on successful account creation! Cookies for referrals will be tracked for 21 days. You also get upgraded to SellerApp Professional account once you successfully refer 3 paid customers.